Sure to fascinate and bedazzle, the printed hand bags in satin and denim are excellent expressions of one’s personality. These bags are manufactured in various sizes to satisfy the varying demands of the customers. Importers buy Wholesale scarves in bulk quantity at Competitive prices as ENGLISH CREATIONS CRAZE is an exporter From India, wholesaler, manufacturer, supplier of scarves , shawls , stoles , bags , ponchos , jacquard scarves , printed scarves, Pareos, Kaftans, Sarongs, Kimono , in all kind of fabrics From India. These printed shopping bags look trendy with animal and floral prints. 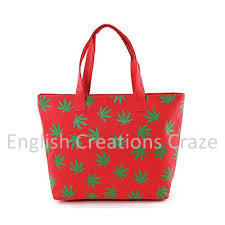 We manufacture fancy printed bags in various designs and colors according to the latest fashion trends. We also manufacture wholesale shopping bags, wholesale fashion bags, wholesale handbags and wholesale beach bags.Clients can buy Wholesale scarves in bulk quantity at Competitive prices as ENGLISH CREATIONS CRAZE is a manufacturer From India, wholesaler, supplier, exporters of scarves, shawls, stoles, bags, ponchos, Kaftans, Sarongs, Kimono , printed scarves, jacquard scarves, Pareos and fabrics. Printed Bags are manufactured with luxurious fiber and provide a soft comfortable warm feel and incredible look. We are reckoned for creatively manufacturing and exporting a wide stock of Printed Bags which are Perfect to accessorize with formal or casual attire from Amritsar, Punjab, India.Buy Wholesale scarves in bulk quantity at discounted prices as ENGLISH CREATIONS CRAZE is a wholesaler From India, manufacturer, supplier, exporter of scarves, shawls, stoles, Pareos , Kaftans, Sarongs, bags, ponchos, Kimonos, jacquard scarves, printed scarves, fabrics. 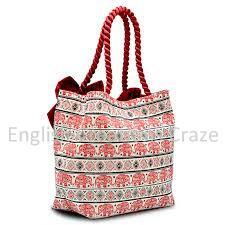 Bags from India have a soft sheen and come in a wonderful range of colors, patterns and styles to suit any outfit. Designed and crafted by our master craftsmen, our Bags from India are manufactured with pure wool and are developed on an hand-operated industrial machines.Importers buy Wholesale scarves in bulk quantity at Competitive prices as ENGLISH CREATIONS CRAZE is an exporter From India, wholesaler, manufacturer, supplier of scarves , shawls , stoles , bags , ponchos , jacquard scarves , printed scarves, Pareos, Kaftans, Sarongs, Kimono , in all kind of fabrics From India. Relying on our years of enriched experience in this fashion market, we are reckoned for creatively manufacturing, supplying and exporting a wide stock of Printed Handbags from Amritsar, Punjab, India. 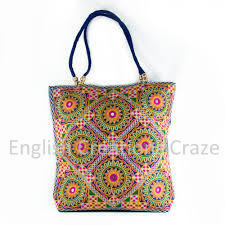 We offer our entire range of Printed Handbags to clients in a variety of colors, designs and prints at feasible prices.Clients can buy Wholesale scarves in bulk quantity at Competitive prices as ENGLISH CREATIONS CRAZE is a manufacturer From India, wholesaler, supplier, exporters of scarves, shawls, stoles, bags, ponchos, Kaftans, Sarongs, Kimono , printed scarves, jacquard scarves, Pareos and fabrics. We manufacture, export and supply New arrival bags to our customers in Amritsar, Punjab, India. New arrival bags is the perfect fashion accessory of any occasion provided by leading exporter, manufacturer & supplier in Amritsar, Punjab, India.Customers can buy Wholesale scarves in bulk quantity at discounted prices as ENGLISH CREATIONS CRAZE is a supplier From India, wholesaler, manufacturer , exporter of scarves, shawls, stoles, bags, ponchos, Pareos, Kimonos, jacquard scarves, printed scarves, Kaftans, Sarongs, and Fabrics. 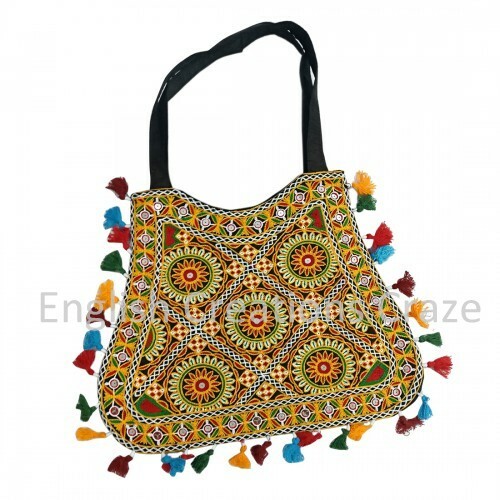 We manufacture, export and supply Embroidered Bags to our customers in Amritsar, Punjab, India. Our Craftsmen Churn Out Embroidered Bags, That Are Known For Their Intricate Designs And Traditional Patterns.Clothing stores can buy Wholesale scarves in bulk quantity at discounted prices as ENGLISH CREATIONS CRAZE is a supplier, wholesaler, manufacturer , exporter of scarves, shawls, stoles, bags, ponchos, Pareos, Kimonos, jacquard scarves, printed scarves, Kaftans, Sarongs, and Fabrics From India. We manufacture, export and supply an exclusive collection of Latest Bags in Amritsar, Punjab, India. These Latest Bags are presented in bright and sophisticated colors.Brands can buy Wholesale scarves in bulk quantity at discounted prices as ENGLISH CREATIONS CRAZE is a supplier, wholesaler, manufacturer , exporter of scarves, shawls, stoles, bags, ponchos, Pareos, Kimonos, jacquard scarves, printed scarves, Kaftans, Sarongs, and Fabrics From India.